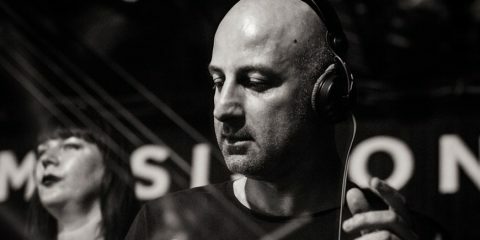 With a high work ethic, natural talent and a deep knowledge and appreciation of music, Ben Pearce’s music resonates with a broad cross-section of dance music lovers. Ben Pearce is a versatile musician with eclectic tastes who has gained through countless appearances on the big stage – from Ibiza to Miami, to Amsterdam, Sydney and more, ultimately making him a top class selector in the process. Now, after taking some time off, Ben has returned to the industry with a new perspective, rejuvenated energy and enthusiasm, plus his new ‘Ascension’ project. 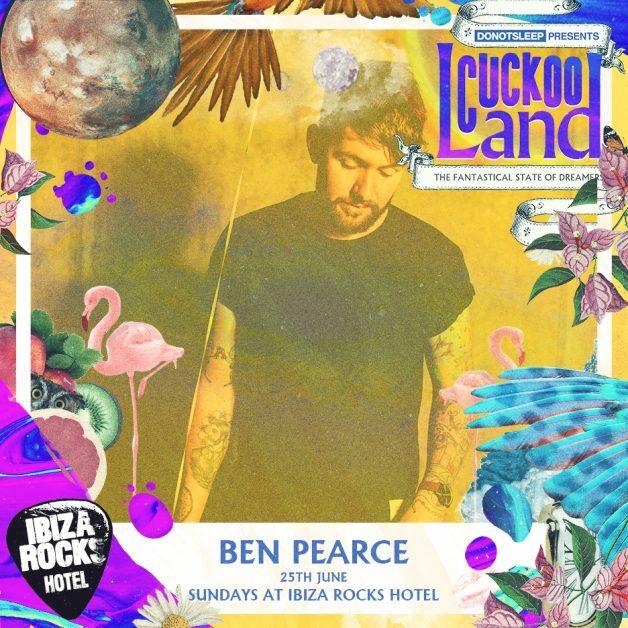 Ben will also be one of the very special guests who will descend onto Do Not Sleep‘s Cuckoo Land Sunday pool party at Ibiza Rocks Hotel. Anticipating the event, and discussing the new project, we caught up with Ben to get his perspective on each, as well as the artists role in this crazy, crazy world. We’re talking here mainly anticipating your Cuckoo Land Sunday afternoon appearances at Ibiza Rocks. How did you get involved with the concept? How do you view Sundays on the island? For someone who maybe hasn’t traveled there, or is planning their first Ibiza trip, where would Sunday line up on someone’s weekly agenda? I think any day to be honest, there’s always something going on. I’ve not heard many people who go there especially only for a trip that pick specific days. It’s pretty much full throttle from when you land. I suppose if you spend some more time on the island then you get the chance to pick and choose what days you’re partying. What about the pool party idea? On Ibiza, do you have a preference to play a sunny pool party or a dark club? Both have their unique qualities, don’t think I could pick a favourite if the mood is right. I really enjoy playing sunshine music so will be really looking forward to bringing some of that for cuckoo land. 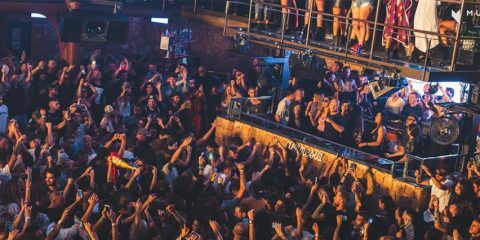 Ibiza is naturally a big part of anyone DJs summer plans, but it’s also not without its rigors. How do you prepare yourself for the demands of the summer schedule, both mentally and physically? I’ve never been and out & out ibiza DJ, I’ve done some incredible shows there but it’s always been sort’ve routine in terms of travel. Summer wise yes it does get hectic, I think it’s massively important to plan the travelling well and eat really good food when you can. Otherwise you get stuck with airport ham n cheese sandwiches which isn’t the most nutritious thing for a long tour. What about after the summer, do you have a “wind down” regiment? Well really after the summer you move into club season a bit more and also the summers across the other end of the globe. I’m trying to have cool down periods regularly over the year just to try my best not to get burnt out. I cook and play golf/football/tennis to wind down I guess, a lot of those are easier/more enjoyable in the summer too. 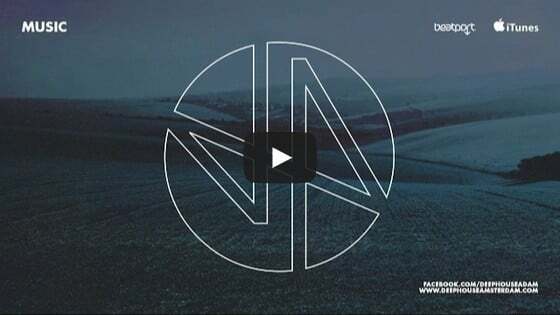 You’ve also got a new EP “Ascension” out. What was the very first element of what would become ‘Ascension’ that occurred to you? Was it a specific theme, idea, bassline, sound…? It was the feeling of thousands of voices competing for attention. On social media, in the press, in the charts. Everybody is shouting and that noise sometimes becomes silence, I felt very lost and isolated. Hence this metaphor of an astronaut getting lost on his journey in space, he’s discovering amazing new things he’s never experienced before but it can be quite lonely. Speaking of themes, what would you say the themes behind this EP are? How do they relate to thematic material of yours before this? The whole concept which is the 4 EP’s is really the first thematic thing I’ve done. It’s liberating to be able to walk into the studio and think ‘I know what I’m writing about today’, before then I was just going in to make ‘club music’ which is good sometimes but a huge part of me wanted more. I’ve found my release through this series and really looking forward to developing it. What would you say is the primary piece of equipment used in creating the “Ascension” EP? If I asked you that question for your first ever release, what would you say? I start most of my drums on a Roland Tr-8 I guess. The Dave Smith Prophet 12 has been huge on this EP and it will continue to be on the next I think. I love that synth so much. I hopefully will be adding more to the setup so it becomes more of a fluid almost live setup, which could open up some possibilities I guess. What are you looking forward to for the rest of 2017? Any places you will visit that you haven’t before? Every so often, I see you engaging with people on social media regarding political topics. What do you feel the artists “role” is during this time of heightened political tension? Also, have you EVER come across someone in nightlife that held overtly conservative views (aside from “money guys,” of course…)? I think the ‘role’ as it were is the same for anyone, to try and get engaged in your country’s politics because we’re entering a dangerous time where the disengagement and ‘fake news’ is enveloping us in this false world, you see what you want to see thanks for online analytics etc. Music crosses borders, faiths, race & sexuality… it has no political home in itself and whilst it has been used many times to front political ideals it should be neutral in it’s basic form. The hatred and ignorance in this world truly scares me and I hope it will get better in my lifetime. And no, not really, I’d probably have a conversation with them if I did, I’d try and Louis Theroux it and not get too agitated.